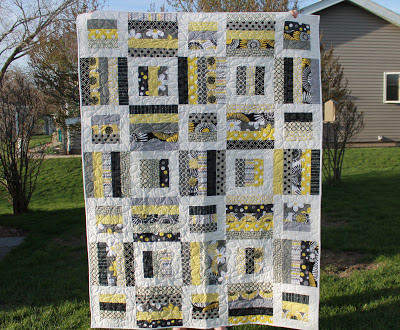 I found this Mini Quilt tutorial over at Sit and Stitch a While's blog. It used a mini charm pack and even though I didn't buy a charm pack, I just so happen to have one (it was a gift for purchasing fabric from westwoodacres on etsy). You can find the tutorial here. The fabric line I used is called Glamping. Although I am not a fan of the graphics which probably says something about my ideas regarding camping; however, I do like the colors. And this tutorial was a great way to use it up. I also have lots of leftover white Kona laying around. I've sent a few big quilts out to be longarmed and they always require lots of extra fabric on the back to load it on the machine so I used some of the stuff I cut off of those quilts to make this little cutie. I also used the leftover charms from the pack on the back. All in all, this sucker didn't cost me anything but my time. I like projects like that, especially ones that turn out this cute. I think I should give this to my sister, it fits her personality and style perfectly. Yesterday I finished this quilt. It's my version of Jeni Baker's Modern Plus quilt I got from the tutorial I found on her blog, In Color Order. I used a bunch of fat quarters I had to make this. I used Kona solid on the back with a strip of the leftover squares. It sure is cheery and was a lot of fun putting all those plus signs together. The quilting was done using variegated color thread on the top and a green on the back. 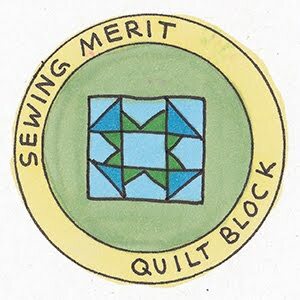 I like how the curves of the quilting complement the crispness of the squared plus signs. It softens it up a bit, I think. Here are some close-ups of the quilting. 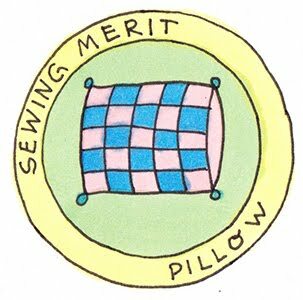 I had it done over at the local quilt shop just to speed things up. I wish I had the time and a longarmer so I could do this myself. Since I don't I do enjoy being able to move on to the next project while the quilters at the shop do their magic. I got this box of Clover Wonder Clips just in time yesterday. I also bought the fabric to make the binding for this quilt. So it was all perfect timing for trying them out. 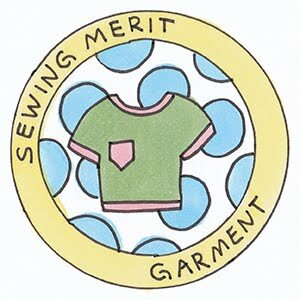 One of my favorite quilting bloggers, Julie Herman from Jaybird Quilts uses them so I thought I would give them a try. These clips are wonderful. They hold the binding down nicely and without the use of stick pins, sewing on binding is now pain free. I don't know how many times I've pricked my finger from sliding my hands along the binding and forgetting that I will bump into the pins. I bought the small ones that come in a box of 50 which are just enough to go around an entire quilt. These are going to be great for working with clear vinyl and some of the other crafty things I have coming up. I can't wait to use them on the next project. This is the best new tool I've purchased in a long time. 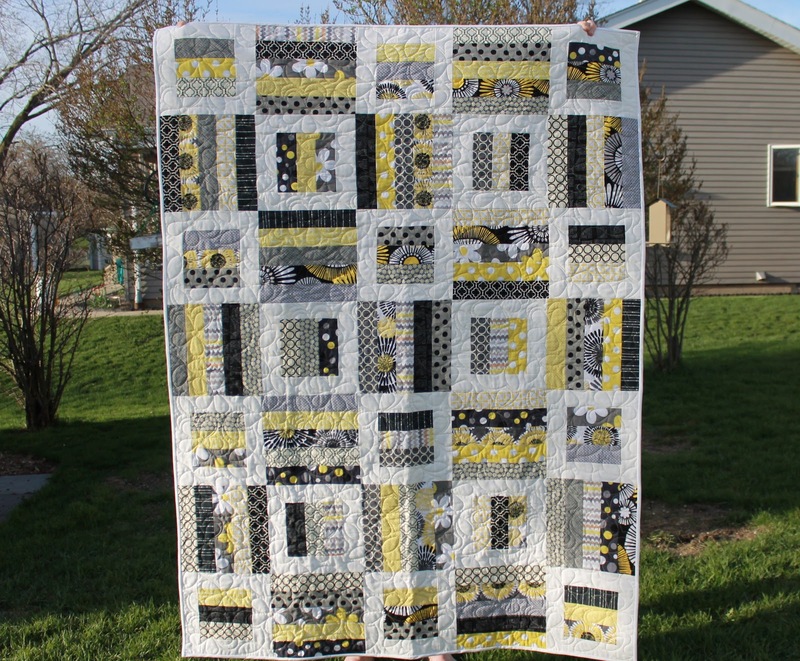 I have always loved the pattern, Radio Way by Jaybird Quilts. Even though I loved it, I never purchased it. Normally I have more patterns than I have time to use, so I can't explain why I never owned this one. I think I decided not to buy it until I knew what I would use it for. It was kind of a resolution to try and stop the madness of having too many ideas and no progress on any of them. This resolution never seems to last very long. 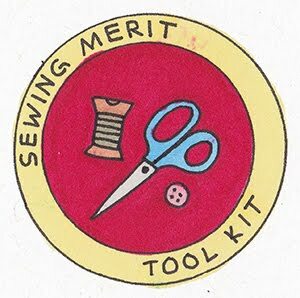 On a lazy Saturday afternoon, while surfing quilting websites, I stumbled upon Julie Herman's post on her blog about how she had a few kits left for Radio Way. So there I was, not only getting the pattern but also the exact same fabric that was featured on the cover of said pattern. The colors combination is beautiful. After finishing the top, I took some of the leftover strips and incorporated them into the back. The quilting is daisies. They go so well with the daisy prints in the quilt. So now that it's all done I can't wait to ship it off to my daughter-in-law, it seems perfect for her. It is so modern and stylish just like her. I had this little piece of Disney princess fabric that I didn't know what to do with. I found some pretty dotted fabric to go with it, but I still didn't know what to make out of it. Chloe walked around with the piece for a few days, she loves the princesses on it. There's a little glitter on it too so that attracts her attention as well as the princesses. I finally decided to make a skirt out of it. I had a simple tutorial that I used in the past and it was very cute when made with two fabrics. When I mentioned it to my daughter she said she would prefer that Chloe have a tote bag. She likes to haul some of her toys with her whenever they get in the car, so it would be helpful to have a nice sturdy bag that was smaller than those carried by adults. So here it is. It measures 12 inches wide, 11 inches tall and 3 inches deep. 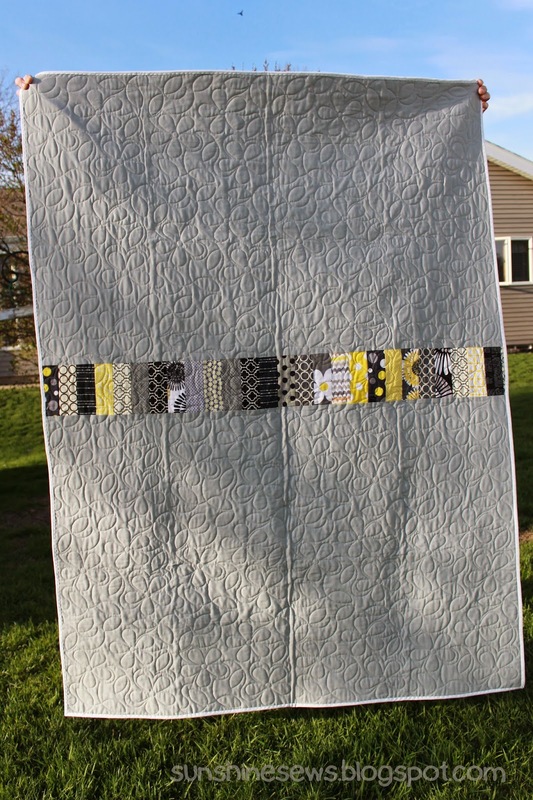 It is quilted with a layer of batting so it stands up on its own. It has a little bit of rick rack for an extra design touch and the handles are pretty short, made for small arms to carry without having it dragging on the ground. 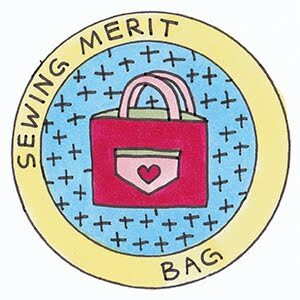 I had just finished sewing binding on a quilt so I had a piece of binding left and I attached it to the top of this bag to finish the edge. Talk about great timing and using up leftovers! It worked out great. When I gave it to Chloe she immediately filled it up with her Little People Princesses and carried them out to the car. Funny thing was her mother wasn't planning on going anywhere.